PD42 - On demand solutions! The PD42 with full graphic display interface meets the needs of medium duty applications. Its multiple communication interfaces, secure wireless connectivity, CCX and WiFi certification, and support for IPv6 ensure easy integration and scalability. 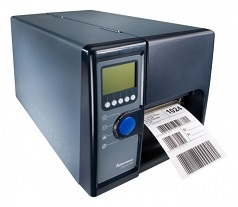 Stand-alone Smart Printing eliminates PC costs and complexity, and enables quick ROI. The PD42's smart design features support increased productivity in demanding environments.